We area strong company with valuable know-how , that supports new technologies. 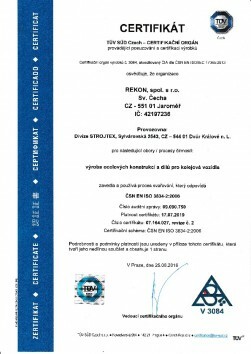 Therefore we work with important customers from all over the world..
Our quality management system according to ISO 9001 and ISO 14001certification are based onour modern machinery and manual high quality work. Ourmanagement process systems meet the automotive requirements according to the ISO/TS 16949 standards , Customers in this segment we can provide project management according to APQP , including the sampling phase according to PPAP . 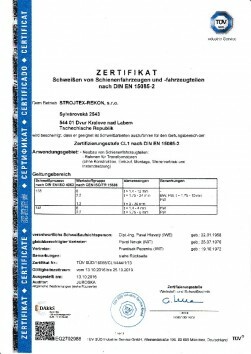 Our international certificationDIN EN 15085-2 and ISO 3834-2:2006proves our professional competence and high-quality welding system.